These are apps that will help capture quotes and interviews from experts in the field. 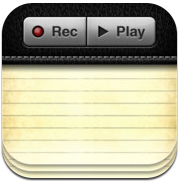 These can also be used for recording audio files for use in the "Sharing" stage when students begin to publish projects. Continue to record audio when the app is closed. Browse the web while recording!